5" - fits 4 3/4" to 5 1/8" inch mouthed horses. Correction Bit. Blackend straight cheeks with copper wraps and a stainless steel high port. Correction bits are used for horses that are not obeying rein aids. Generally used for training purposes. 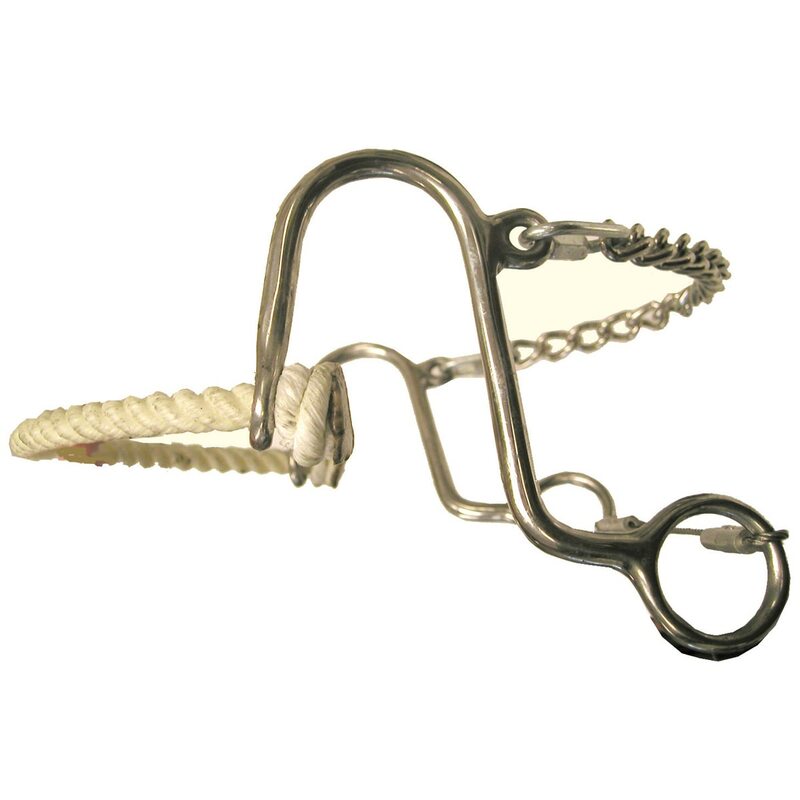 Stainless steel short shanks with a snaffle type mouth featuring a copper roller. This is a transitional training bit that is a curb bit which is good as a transitional bit before going to a ported bit. Stainless steel shanks with a copper snaffle mouth. Because this is a shank bit there will be leverage and acts as a curb bit. Because of the straight shanks this bit will react fast to pressure on the reins.